Healing Quest, now going into its fourteenth season, was launched in October of 2003 and has cleared over 100 PBS covering more than 65% of U.S. TV households and airs in 16 of the top 20 TV markets. Overseas, it has been licensed to broadcasters in Australia, Thailand, England, Canada, Portugal, Israel, South Africa and Discovery Latin America. Produced by Lightbridge Media, the goal of Healing Quest is to provide mainstream television viewers with useful, well-researched information on the expanding array of new choices available to help them achieve optimum health – a level of wellness that transcends the mere absence of illness and encompasses maximum well-being of mind, body and spirit. Healing Moment Meditation featuring music and nature footage. 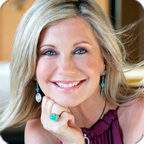 Healing Quest is currently hosted by Judy Brooks, Roy Walkenhost, Michele Bernhardt, and Dr. Brenda Wade — Seasons 4 through 9 are co-hosted by entertainment icon Olivia Newton-John, Judy Brooks, and Roy Walkenhost. JUDY BROOKS brings decades of media and healing arts experience to her role as founder of Lightbridge Media and creator of Healing Quest. Judy began her career a radio sales executive in Sacramento and Los Angeles. As a talent agent, she opened the Flair Agency’s children’s department before going on to work for Creative Artists Agency and Progressive Artists Agency. In 1984, she founded Brooks Management, a personal management company for television and motion picture performers. In that same year she founded the Video Tape Library, a stock footage company in LA. In 1992, she opened Brooks Productions, which grew into Lightbridge Media. Along the way she also found time to pursue a lifelong interest in metaphysical studies and become a certified Alchemical Hypnotherapist and a Reiki Practitioner. Producer and director of five stage performances in San Francisco showcasing the Autobiographical Ensemble technique. Judy’s intention is to create Healing Quest as a media brand that provides useful and trustworthy content and resources to the global lifestyle community interested in health, wellness and personal growth. ROY WALKENHORST joined Lightbridge Media in 1998. Since then, he has co-produced Healing Quest with his wife and partner Judy Brooks. As CEO of Lightbridge Media, Roy’s primary responsibilities are managing sponsorship sales and underwriting, station clearances and international licensing. Roy came to Lightbridge Media after 18 years as founder and president of News Travel Network. During his tenure the firm grew into the world’s largest producer of timely, consumer-oriented travel programming and built a library of more than 10,000 hours of video shot on location around the world. NTN’s first series was called theConsumer Travel Reports. Launched in 1982 the Consumer Travel Reports aired for 20 years, becoming the longest-running news inserts in U.S. television history. Cowboy Country, a series of 13 half-hour programs on the Old West then and now that has not yet been released to broadcasters yet but is being marketed by Time-Life to the home video market. 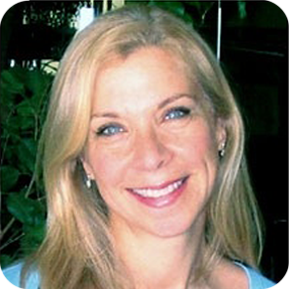 MICHELE BERNHARDT is a renowned practitioner of the intuitive arts. A respected healer, astrologer and metaphysician, Michele’s unique gifts are regularly sought out by individual clients and companies throughout the world. Michele has appeared on PBS, Fox, Bloomberg and Oxygen TV. She has consulted for and worked with corporations and institutions such as Bloomberg World News, Neutrogena Corp. Spiegel and L’Oreal. As an author and columnist, she has contributed to many publications some of which include Travel and Leisure, Seventeen Magazine, Cosmo Girl, Redbook, Country Living, Fitness, The Miami Herald, Buzz, Spy, and many others. 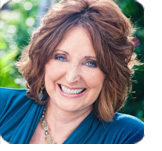 DR. BRENDA WADE is best known for her dynamic, love-centered approach to transformation. 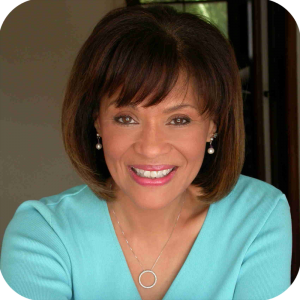 She has earned numerous awards as psychologist, author, television host, producer, keynote speaker and workshop leader. Dr. Brenda regularly appears on CNN and NBC’s Today Show as a psychology expert. Featured on shows such as Oprah and Good Morning America, she hosted both the nationally syndicated Can This Marriage Be Saved? and the national PBS Pledge Special Power Choices. A regular contributor to Essence magazine and other major publications, she also hosts Black Renaissance on the CW network. OLIVIA NEWTON-JOHN was Born in Cambridge, England, the youngest child of Professor Brin Newton-John and Irene, daughter of Nobel Prize winning physicist, Max Born. Olivia moved to Melbourne, Australia with her family when she was five. By the age of fifteen, she had formed an all-girl group called Sol Four. Later that year she won a talent contest on the popular TV show, “Sing, Sing, Sing,” which earned her a trip to London. By 1963, Olivia was appearing on local daytime TV shows and weekly pop music programs in Australia. Olivia cut her first single for Decca Records in 1966, a version of Jackie DeShannon’s “Till You Say You’ll Be Mine.” In 1971, she recorded a cover of Bob Dylan’s “If Not For You,” co-produced by John Farrar, who she continues to collaborate with today. Her 1973 U.S. album debut, “Let Me Be There,” produced her first top ten single of the same name, with Olivia being honored by the Academy Of Country Music as Most Promising Female Vocalist and a Grammy Award as Best Country Vocalist. This proved to be only the beginning of a very exciting career. Her countless successes include three more Grammys, numerous Country Music Awards, American Music Awards and Peoples Choice Awards, five #1 hits including “Physical,” which topped the charts for ten consecutive weeks, and 15 top 10 singles. In 1978, her co-starring role with John Travolta in “Grease” catapulted Olivia into super-stardom. This film led to the production of the most successful movie musical soundtrack in history, featuring the duets “You’re The One That I Want” and “Summer Nights” with Travolta, as well as her mega-hit, “Hopelessly Devoted To You.” The film was re-released worldwide in 1998 in celebration of its 20th anniversary to even more acclaim, a true testament to the film’s timeless quality. Her other film credits include “Xanadu,” “Two Of A Kind,” “It’s My Party,” and “Sordid Lives.” She followed that success, by co-starring with her daughter, Chloe, in the Showtime movie, “The Wilde Girls.” Clearly following in her mother’s footsteps, Chloe has recently signed her first record label contract. Olivia’s appeal seems to be timeless. With a career spanning more than three decades she is still a vibrant, creative individual that is adored by fans across the world. Throughout her career, the much-loved star, who danced with Gene Kelly in “Xanadu,” hosted the popular internationally syndicated “Wild Life” television show, was bestowed an O.B.E. (Order Of The British Empire) by Queen Elizabeth in 1979, has held many humanitarian causes close to her heart, particularly since the birth of her daughter Chloe in 1986. She served as Goodwill Ambassador to the United Nations Environment Programme and in 1991, the Colette Chuda Environmental Fund/CHEC (Children’s Health Environmental Coalition) was founded after the tragic death of Chloe’s best friend from a rare childhood cancer, with Olivia serving as National Spokesperson for ten years. Olivia’s devotion and shared commitment to CHEC’s mission and goals enabled the organization to receive worldwide attention and support. Her charmed life has not been without its share of upset. In the 90’s, Olivia successfully overcame her own battle with breast cancer, which inspired her self-penned and produced album, “GAIA,” her most personal album reflecting upon her experiences with cancer. She used these experiences to gain greater self-awareness and became a positive inspiration to millions of people battling cancer. As a breast cancer survivor, Olivia has become increasingly well known and respected for talking openly about her battle with breast cancer and for promoting public awareness of the importance of early detection. Her personal victory against cancer led her to announce her partnership with Austin Health and the creation of the Olivia Newton-John Cancer Centre (ONJCC) on the Austin Campus in her hometown, Melbourne, Australia. The ONJCC will provide a comprehensive range of services and facilities for cancer treatment, education, training and research. Olivia continues to give back to the community generously and has been acknowledged many times by charitable and environmental organizations for her ongoing efforts, among them: the American Red Cross, the Environmental Media Association, the Women’s Guild of Cedar’s Sinai Medical Center, the Rainforest Alliance and Concept Cure. Olivia promotes breast health awareness and has introduced the “Olivia Breast Self-Exam Kit,” an aid to help women perform self-exams with more ease and confidence (www.liv.com). Olivia shows no signs of slowing down with recording. In 1999, her album, “Back With A Heart,” garnered her an Emmy Award for her songwriting. In 2000/2001, Olivia released her only live album, “One Woman’s Live Journey,” followed by “Magic – The Very Best of Olivia Newton-John,” which celebrated thirty years of recording. And if that wasn’t enough, she also released her first holiday album, “The Christmas Collection.” In 2002, a CD of duets simply titled, “2,” was recorded in Australia and features a host of talented Ozzies along with a couple of her American friends, followed by “Indigo: Women of Song,” a tribute to some of her favorite female performers. The CD “Stronger Than Before,” release in 2005, features songs of inspiration, courage and hope that relate to the complex emotions cancer patients and their loved ones experience. A portion of the CD’s proceeds benefit cancer research. Her latest recording — “Grace and Gratitude” — a CD for relaxation to promote spiritual balance and physical and emotional healing, was released in September 2006 and coincided with the launch of Olivia’s signature line of body, heart and spirit wellness products for women available exclusively at Walgreens stores. 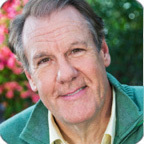 In 2007 Olivia joined Judy and Roy as co-host of Healing Quest. With her current “Grace and Gratitude” concert tour and philanthropic endeavors, Olivia’s worldwide popularity is as strong as ever! To purchase Olivia’s “Grace and Gratitude” CD or a DVD compilation of her Healing Moment Meditations as seen on Healing Quest, please visit the Healing Quest Store.